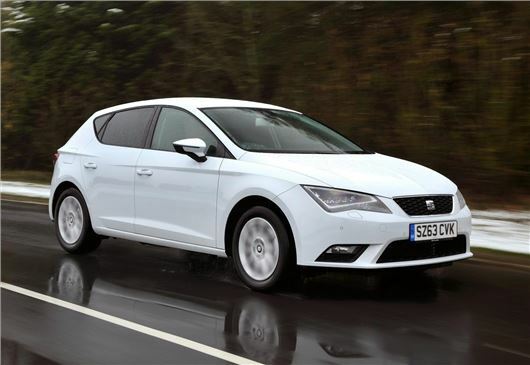 SEAT has announced that its fuel efficient Leon Ecomotive model is to cost from £19,630. It is available to order in five-door, three-door and estate bodystyles, with first deliveries due in January 2014. £19,630 buys a three-door SC variant – the five door costs £300 more and the ST estate costs from £20,485. Regardless of bodystyle, emissions are 87g/km and official economy is 85.6mpg. Power comes from a 1.6-litre TDI engine which produces 110PS. To reduce emissions the Leon Ecomotive features aerodynamic styling tweaks, 15mm lower suspension, low rolling resistance tyres and a unique radiator grille. As with other Leon models, stop start and brake energy recuperation are standard. Standard equipment includes 16-inch alloy wheels, front fog lights with cornering function, cruise control, air conditioning, electric windows, Bluetooth and Easy Connect multimedia system. Additionally, until the end of 2013 the Technology Pack, which adds all-LED headlights, DAB radio and satellite navigation, is free.